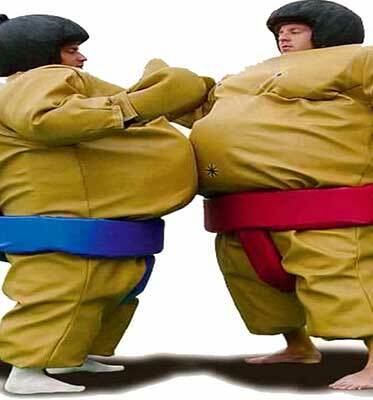 These Sumo Suits are suitable for 12 year olds and over. 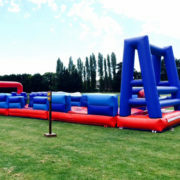 They are great fun for everyone – both entertainment for participant and spectators. 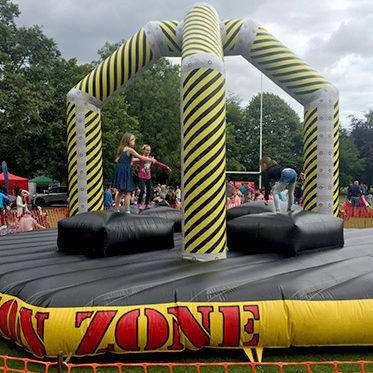 This is a safe and fun way of fighting in oversized padded suits to get your opponent out of the ring on the padded mat (mat approx 10 x 10ft). They include 2 sumo suits, 2 helmets and 1 large padded mat. 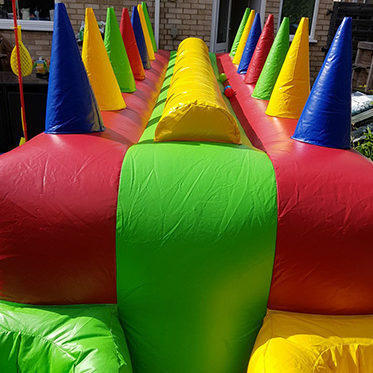 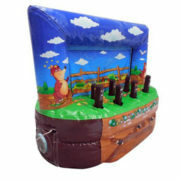 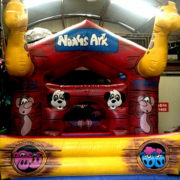 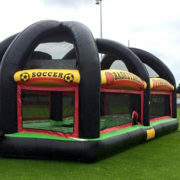 They are suitable for indoor and outdoor use and are very popular at large events and smaller parties alike.